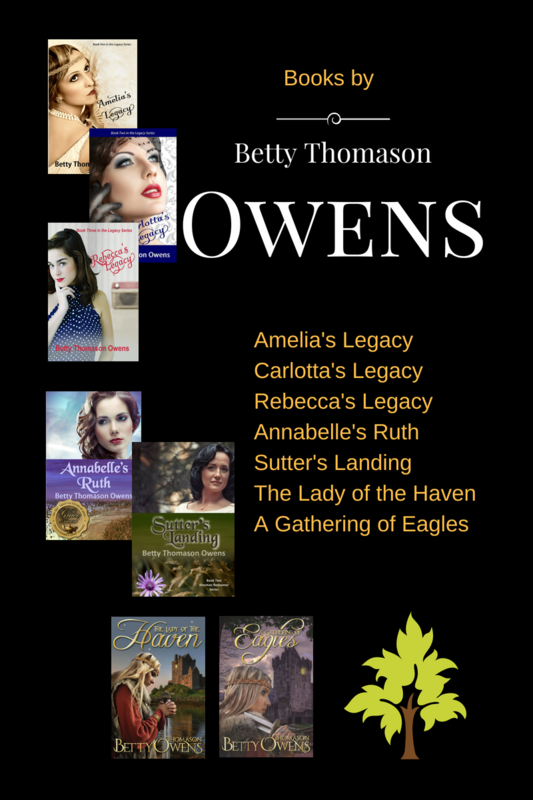 Betty Thomason Owens is an award-winning writer of historical fiction, contemporary fiction, and fantasy-adventure. 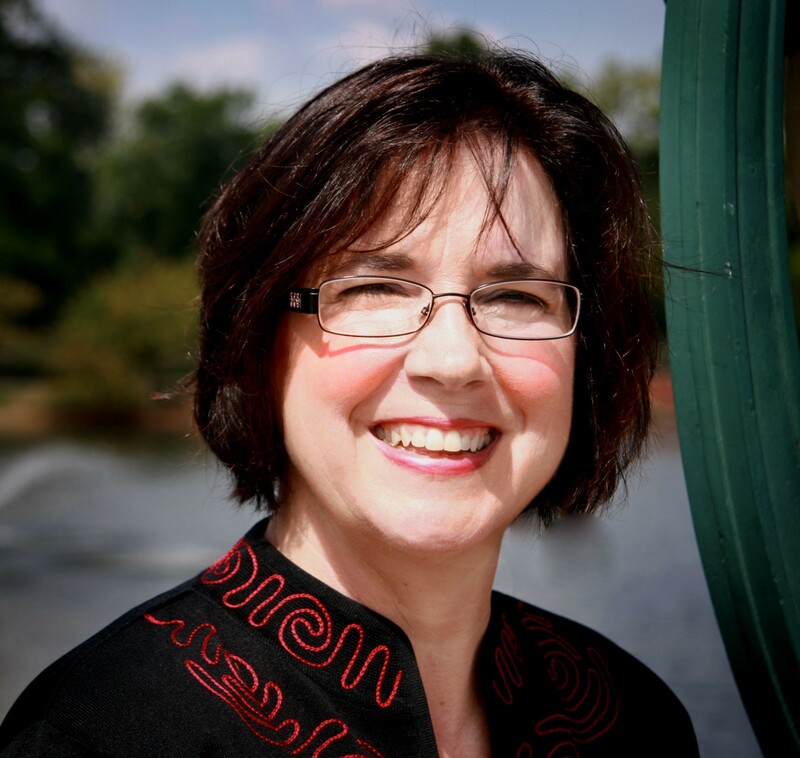 She’s an active member of American Christian Fiction Writers (ACFW), where she leads a critique group, and is President of the Louisville area ACFW group. She’s also a speaker, a mentor assisting other writers, co-founder of a blog dedicated to inspiring writers, and serves on the planning committee for the Kentucky Christian Writers Conference. Her writing credits include the Legacy Series, and the southern historical Kinsman Redeemer Series (Book 1, Annabelle’s Ruth, is a 2015 Grace Award winner, and has recently been translated into Spanish). She has two fantasy-adventure novels, The Lady of the Haven and A Gathering of Eagles, in a second edition published by Sign of the Whale BooksTM, an imprint of Olivia Kimbrell PressTM. When she’s not writing, Owens is a part-time bookkeeper, who loves to travel and spend time with her family. Betty Thomason Owens is a multi-published, award-winning author of historical fiction, and fantasy-adventure. An active member of American Christian Fiction Writers (ACFW), she leads a critique group, and serves as President of the Louisville area group. She’s a mentor, assisting other writers, and co-founder of the Inspired Prompt blog. She also serves on the planning committee of the Kentucky Christian Writers Conference. Betty would like to invite you to her Facebook author page, Twitter, GoodReads, Pinterest, Instagram, Amazon Author Page, Inspired Prompt. And she posts weekly on her blog, Hello, Thursday Morning, found at https://bettythomasonowens.com/. Betty is available for speaking engagements on a variety of subjects. If you have a book club, writers’ group, ladies group, or church group, send her a message via the “Contact Me” tab.